Kallars have teamed up with One 77 Mortgages – a leading UK mortgage broker – to find the right mortgage deal for you without ever charging you a fee. One 77’s experts are comparing 1,000’s of mortgage deals from across the market every day and are available 7 days a week to provide advice without obligation to you. Whether you are buying a new home, re-mortgaging to save money, or looking to purchase an investment property through Kallars – One 77 Mortgages are Kallars tried and trusted partner for property finance. Recognising the high level of service Kallars give to their clients, we aim to provide the same dedication and commitment to all Kallars customers. To this end we have developed a dedicated Kallars team that are not only acquainted with the properties that you are viewing and the agent you are dealing with, but are also ready to respond to your enquiries 7 days a week. 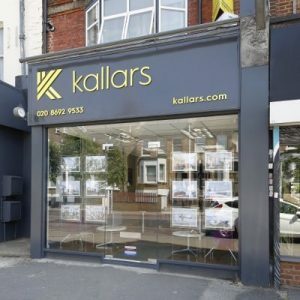 Our Kallars team have access to numerous specialist products, which not all brokers do, and are fluent in all types of mortgage application from first time buyers right through to portfolio investors. We also understand your expectations as a customer and will ensure that your mortgage application is handled in the most effective and efficient way to secure the property you want. Call our dedicated Kallars team now on 0203 4795376 to find about more about securing your new home or contact us using the form below and we will be in touch.